We’ve recently made the decision to revamp our office studio in order to have more versatility when it comes to shoots in the office. And who else are we supposed to engage but Nippon Paint? 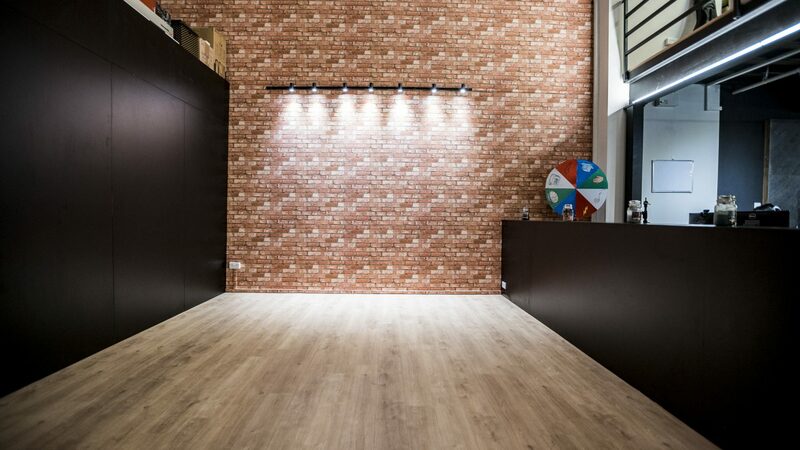 Having done such a good job with the painting of the office before shifting in, it was a no-brainer to contact them once again this time round. 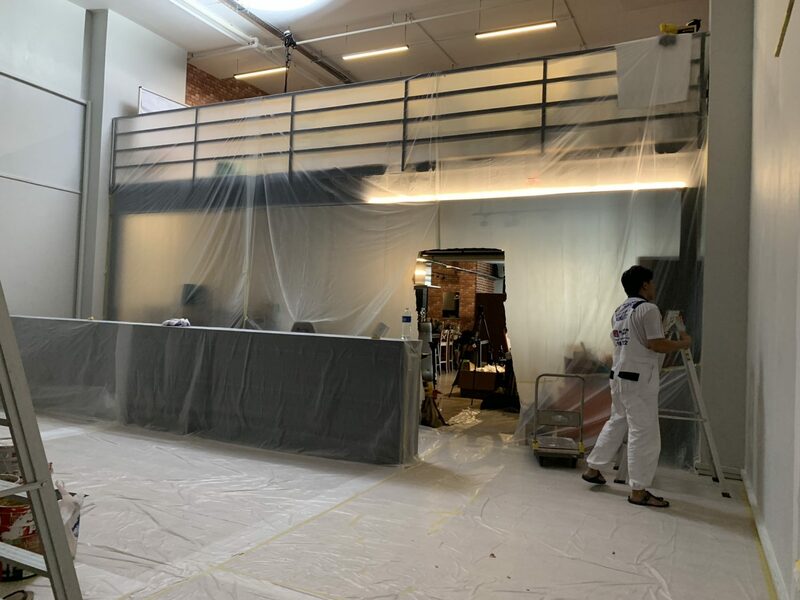 Having informed Nippon Paint of our requirements, it took no more than 3 days for a Project Manager of Nippon Paint to arrive at our office to do a pre-site survey. This is so that he’s able to give a more professional opinion on the work that should be done in order to achieve the results that we wanted. 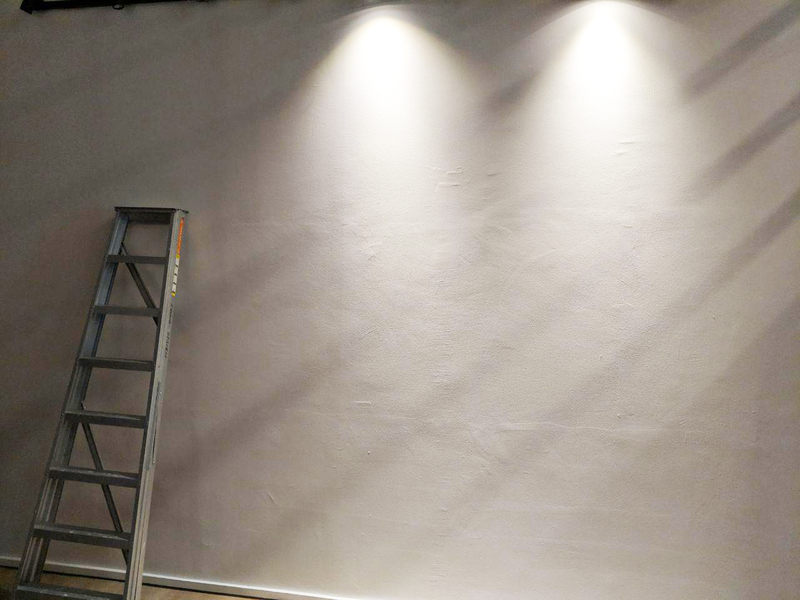 We wanted to have the walls of the studio white, and at first we figured that we can simply just paint over the wallpaper and save the hassle of removing the wallpaper. 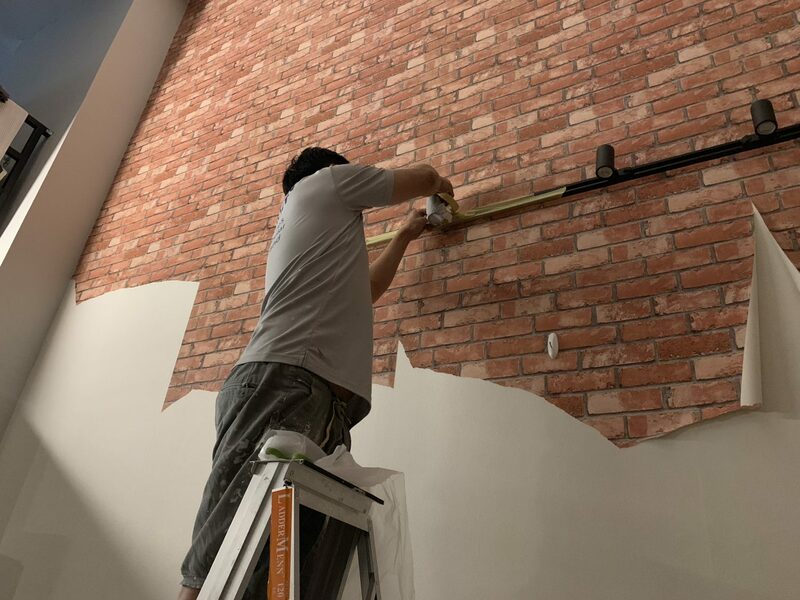 However, according to the Project Manager, while they are able to do that, they don’t encourage it as the paint is not directly applied onto the wall, it would be less durable and we may encounter the paint peeling off in the long run. After which, we went about with determining the colours and everything was right on track. Knowing that it’s an office and we are typically working during weekdays, they actually came down early Saturday morning to do the most tedious part of the work (and definitely most noise-inducing) in order to reduce the inconvenience we would have to the minimum. And the destruction of our studio begins. 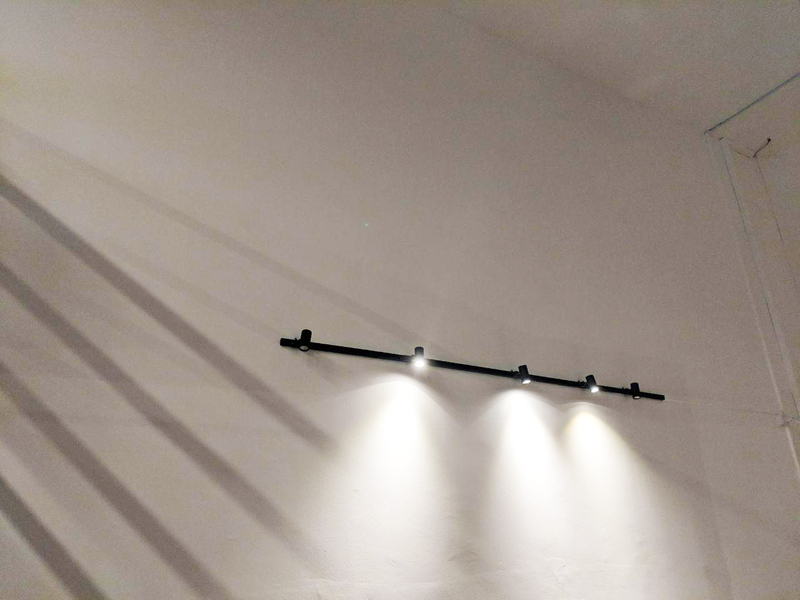 Also, despite being painters by profession, they were also skilled enough to remove our spotlights installations without any hassle whatsoever. They also made sure to use tape to cover up the spot where the light installations are to prevent paint from getting into it. And needless to say, the scariest part of getting painting done in an office or home is having paint getting onto surfaces that shouldn’t be painted. But Nippon Paint has got it covered. 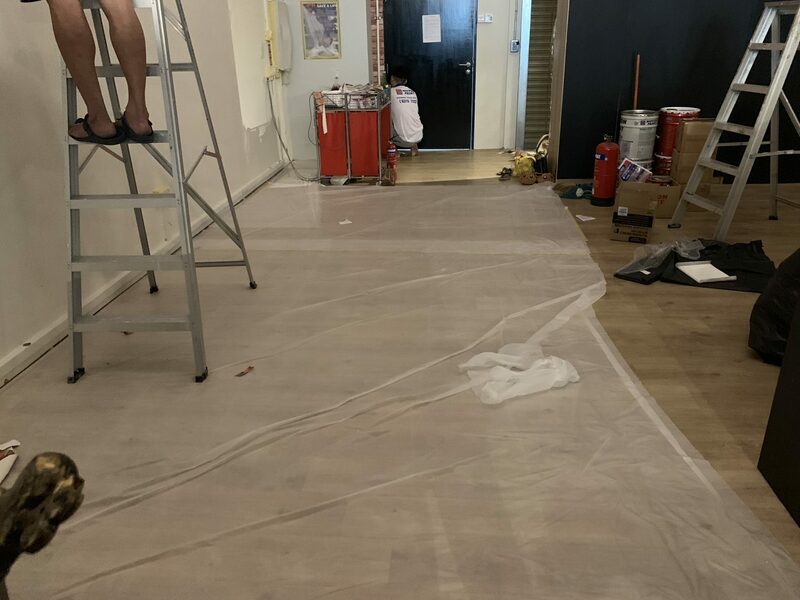 What really impressed us was the fact that the covering up these areas and the floor was not something that they thought of upon starting painting. But it was done even before they even started painting. They accurately identified the spots that should not be painted, and taped over all the electrical outlets to prevent paint from getting into the sockets. And if that’s not enough, they still did this. 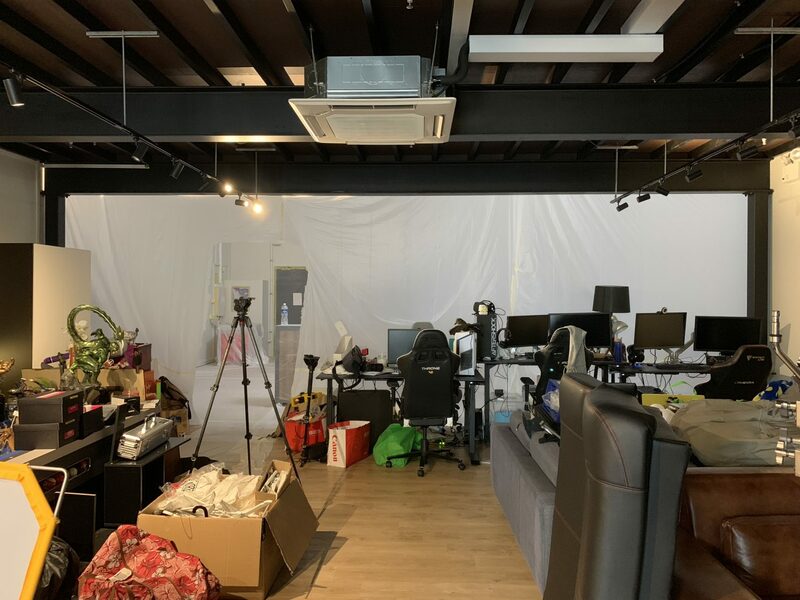 Nippon Paint is famous for their odourless paint, but even so, the painters specially took the effort to segregate the studio from the rest of the office where the rest of us were to be working on Monday from that negligible paint odour. In my personal opinion, this is an extremely commendable. Now, to the actual work process. Between the tearing down of the wallpaper to the painting, there was actually a process that the painters took the effort to do. And that is plastering and sealing. 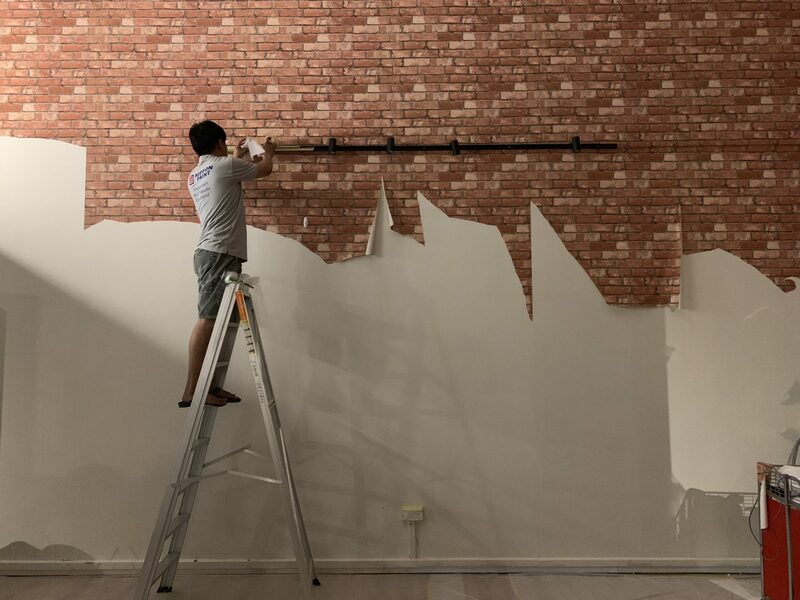 Because like it or not, the surface of the walls are bound to get damaged when you’re removing wallpaper from the wall no matter how careful you can be. 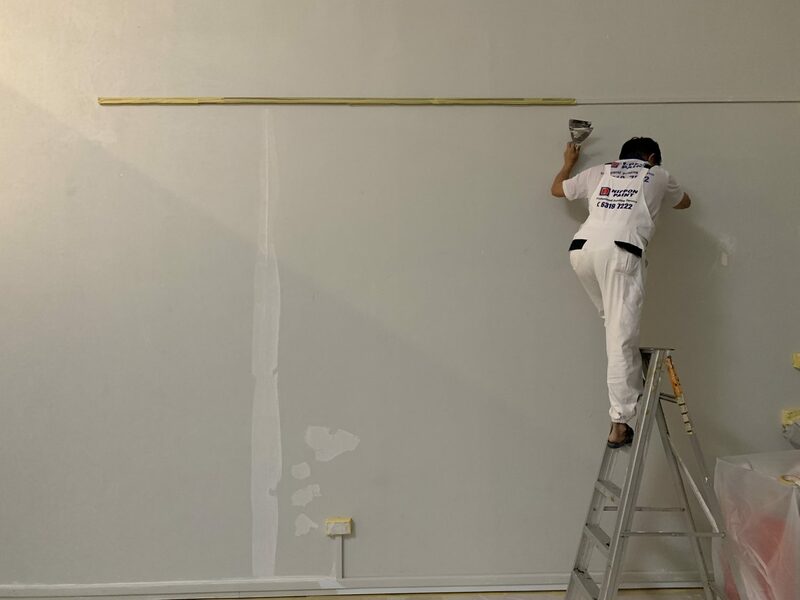 But the Nippon Paint painters took the time to scrutinise each and every inch of the bare empty walls to spot any possible dents and cracks. This is so that they can plaster and seal those damages before they start painting. 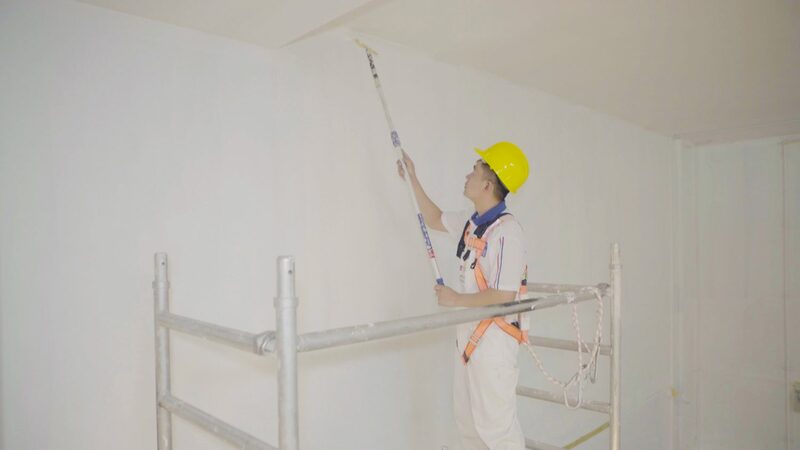 This is to ensure that the eventual paint job at the end of the day would be as close to perfection as possible, and in the end, Nippon Paint wants us to be a satisfied home-owner/office-owner at the end of the day. Also, to our surprise, the job was scheduled for 4 days but they were basically done within less than 3 days’ time. The remaining 1 day is essentially used to let the paint dry and settle and then we can reinstate our office to how it was before. All in all, Nippon Paint Professional Painting Service was simply aptly named. 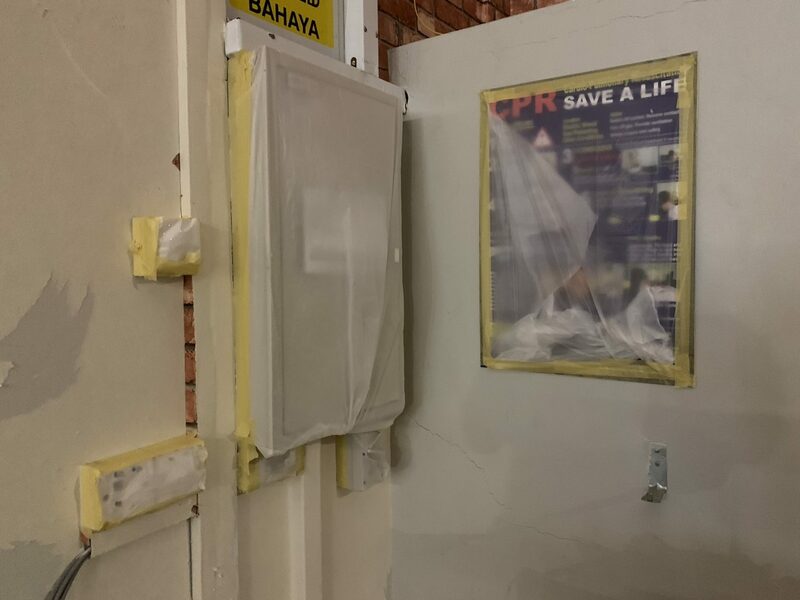 The painting professionals were fast and efficient at what they do, and most importantly, they went about their work in a safe and effective manner and did not jeopardise their own safety for the sake of being fast. Also, they seemed to be so familiar and experienced with their jobs that they reduced their communications to each other to the minimum and even when they were required to talk, they did so at a soft volume such that it did not affect the rest of us who were concentrating on our work. All in all, we will like to thank Nippon Paint for once again delivering such a professional service to us and we want to extend this offer from Nippon Paint to you guys who might be looking to get your house painted!